That awesome blogger The Redhead Riter is something else! She knows how to make someone feel truly special. 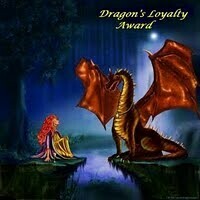 She graced my blog with three awards yesterday! She is better than Santa Claus! 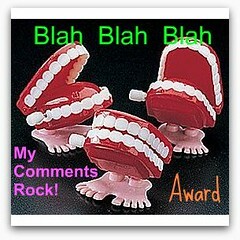 "Your Blog is Over the Top Award"
Congrats on your awards! You have a great blog I am following you now, I look forward to visiting and reading your posts often! OH THANK YOU for passing these awards on to me. It is always a great pleasure to read your posts. Congrats on your awards and THANK YOU for including me. Too cool! First, CONGRATULATIONS on receiving more awards! You truly deserve each and every one of them. BTW, I love your answers to the questions, too. Especially #33 - 'One place you go over and over?' 8^) That is the story of me life. LOL! Seriously, thank you so much for thinking of me again when you were deciding who you would pass these awards on to. It is such an honor and a blessing to me to know that you are thinking of me. You are SO very sweet and I am really glad you are my friend. I hope you, Damon and Little Miss Marlie have a wonderfully blessed weekend! Love to see that you got given so many awards. You so deserve them girl, and then you honoured me too . . Muchas gracias, I'm so very honoured, really I am and I graciously accept!!!! One thing though. Tomorrow, Colin, Gilbert and George, (the dogs!) and I are leaving on a trip. Not exactly sure but probably be back in four or five days time so I'll post the awards today and then do the rules and a little posting on my return if that's okay with you 'cos I won't have internet whilst we're away. Congrats on all your awards. Please stop by my blog. I've left you another one. You rock! Honestly, I enjoy reading your blog, and I humbly accept my awards. Congrats on your awards!! You definitely deserve them. Shout out to Teresha on the awards!!! You know you deserve them! Thanks so much for thinking of me!